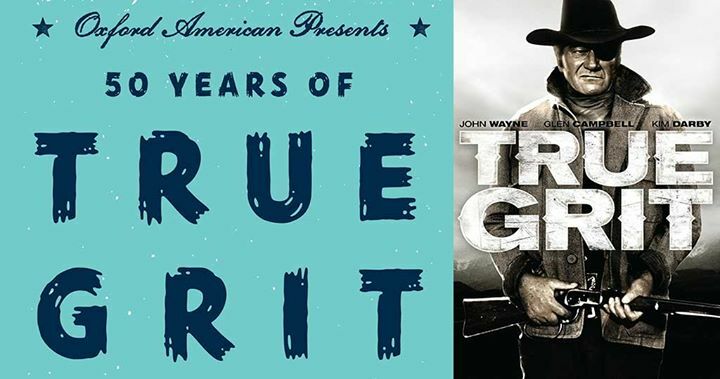 In 1969, Arkansan Charles Portis’ novel True Grit was made into a movie starring John Wayne and Arkansan Glen Campbell. Kim Darby, Robert Duvall, Dennis Hopper, Jeff Corey and Strother Martin are also in the cast. The movie was directed by Henry Hathaway, produced by Hal B. Wallis, and written by Marguerite Roberts. Wilford Brimley and Jay Silverheels are uncredited actors in the movie. Though set in Arkansas and Oklahoma, the movie was filmed in Colorado. Elvis Presley was the first choice for the part Campbell would play. But when his manager demanded top billing (over Wayne), he was bypassed and the part went to Campbell. The movie was nominated for two Oscars: Wayne for Best Actor and composer Elmer Bernstein and lyricist Don Black for the song “True Grit.” The latter had been sung by Campbell in the movie. Wayne won the Oscar that night, his only win. He would reprise the character of Rooster Cogburn in the eponymously named sequel in 1975. This film, in which he co-starred with Katharine Hepburn, was his penultimate film. In 1970, Campbell teamed up with Kim Darby again in a film written by Roberts based on a Portis book. This time it was Norwood. It also starred Joe Namath, Carol Lynley, Meredith MacRae, and Dom DeLuise. It did not repeat the success of the earlier Portis based movie. In 2010, the Coen Brothers released a new version of Charles Portis’ True Grit. Co-written and co-directed by Ethan and Joel Coen, it starred Jeff Bridges, Matt Damon, Hailee Steinfeld, Josh Brolin, Barry Pepper, Domhnall Gleeson and Elizabeth Marvel. Unlike the original film, which was filmed in Colorado, this film was actually filmed partially in Arkansas, where several scenes takes place. Filming also took place in Texas. Many Arkansas actors appeared in the film, but at the risk of omitting some, there will not be an attempt to name them. The film received ten Oscar nominations: Best Picture, Adapted Screenplay, Directing, Leading Actor (Bridges), Supporting Actress (Steinfeld), Cinematography, Costume Design, Sound Mixing, Sound Editing, and Art Direction. Sadly, the film went home empty handed. Fifty years ago, former Arkansas Gazette reporter Charles Portis wrote a novel entitled True Grit. It is more than a work of literature, it is a work of art. In April 2018, the Oxford American will be celebrating the 50th anniversary of the publication of the novel with a series of events. In 1969, the movie was made into a movie starring John Wayne and Arkansan Glen Campbell. Kim Darby, Robert Duvall, Dennis Hopper, Jeff Corey and Strother Martin are also in the cast. The movie was directed by Henry Hathaway, produced by Hal B. Wallis, and written by Marguerite Roberts. Wilford Brimley and Jay Silverheels are uncredited actors in the movie. Lost in the shuffle of Oscar nominations was the fact that Arkansan Glen Campbell received his first Oscar nomination. 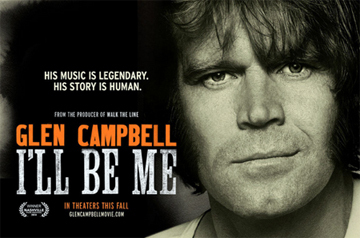 It was for co-writing the song “I’m Not Gonna Miss You” from the documentary Glen Campbell…I’ll Be Me. Unfortunately, due to the ravages of Alzheimer’s this plaudit comes too late in his career for him to relish it. In 2014, the documentary was screened at the CALS Ron Robinson Theater with members of Campbell’s family and the filmmakers present. It later opened the 2014 Hot Springs Documentary Film Festival before it was commercially released. Though not featured in the film footage, Campbell’s last performance in Arkansas was at Robinson Center Music Hall to a sold out, lovingly appreciative and emotional audience. Campbell’s previous closest brush with Oscar was as a co-star to John Wayne in the original True Grit, for which the Duke took home the trophy. In June 2011, legendary movie stuntman and director Hal Needham attended the Little Rock Film Festival. While there, Needham, director of the classic film Smokey and the Bandit, was interviewed on a panel by Tim Basham from Paste Magazine. He started out as a stunt man, and later a stunt coordinator, before he went on to direct. He worked with John Wayne on 8 films. He wrote about his life and career in the book Stuntman. It tells the story of how a kid from rural Arkansas with an eighth grade education became the highest paid stuntman in the world and went on to direct American classics. While Needham was in town for the Film Festival, he was gracious and enthusiastic as he visited with fans and filmmakers. As the 2011 Little Rock Film Festival closed out, Hal Needham was presented with the Diamond Award for Career Excellence in Filmmaking at the awards gala at the Clinton Presidential Library.